Research has found that crops such as wheat and barley are reacting to stressful extreme weather conditions by producing deadly toxins. The latest result from climate change has been revealed in a new study and it’s affecting toxin levels in crops. Extreme environmental changes such as high temperatures and lack of rain is causing chemical changes in the plants resulting in a production of toxins that can be harmful for human and animal consumption. These chemical changes are a similar response in our own bodies when we come up against stress. 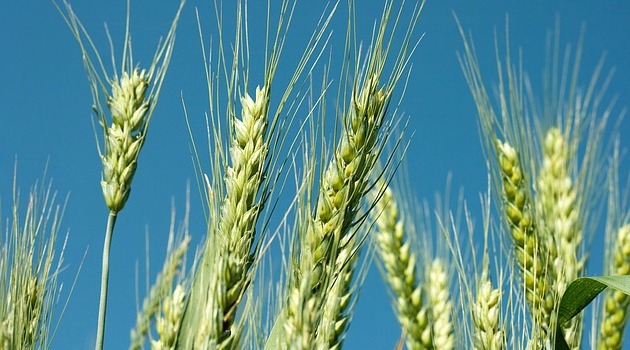 The new report by the United Nations Environment Programme (UNEP) shows the most affected crops are wheat, barley, maize and millet and are more susceptible to the accumulation of nitrate caused by drought. The results could pose a huge problem for farmers as prolonged consumption of these toxic crops can cause a plethora of health problems for livestock including asphyxiation and death. The main risk is to those in developing countries that rely on crops for the majority of their food. “As warmer climate zones expand toward the poles, countries in more temperate regions are facing new threats,” as stated in the report. According to a Scientific American report, the crisis could reach further afield to Europe and cause a big impact on the world’s health system with the planet’s temperature expected to increase by 3 degrees celsius. The main concern is its long term effect with diseases such as cancer. “Toxic crops can lead to neurological diseases among humans but the greatest challenge is the incidence of cancer,” stated Alex Ezeh, executive director of the African Population Health and Research Center. The UNEP report suggests ways for agricultural specialists and farmers to prevent toxic crops from developing including researching which areas are most affected, encouraging crop rotation and developing new crop varieties that can withstand extreme climate changes to limit the amount of toxins being created. Much more research is going into developing ways to combat the deathly crops as Jacqueline McGlade, chief scientist and director of the Division of Early Warning and Assessment at UNEP stated. This isn’t the first time that toxic crops have had severe consequences. In 2004, Kenya experienced a major drought that resulted in outbreaks of aflatoxin poisoning that affected nearly 400 people – 100 of those were killed.